None of that happened. The house project is close to done, but not quite. I recently started running, but I’m not in the shape that I need to be in. We bid on a couple properties and came close to buying one, but were ultimately unsuccessful. I’m not complaining. I set high goals for myself and never stop working hard, but I find that much of my non-work time is spent with the children these days. Would I do it all over again? I have no idea. We bought the home for $176,000 and after putting in $75,000 and lots of hours, it is now worth close to $400,000 (at least half of our $150,000 in appreciation is due to the local, white hot real estate market). On the other hand, living in a construction zone wears you down. In past remodels, I’d work at my normal job until 5pm and then swing a hammer until 10pm. I’d put in 12 hours days on weekends and days. I’d crank it all out quickly and efficiently. With a family, I have to steal hours here and there. This job would have taken me 6 months or less without kids. Now, we’re about to hit the 3 year mark. I went show-shoeing with a group of friends and realized how out of shape I was. Panting and sweating, I told them to go on without me. I was holding them back and felt terrible. The home remodel kicked exercise and eating well down my priority list. Not good. What is the point of having money if you don’t have health? Recently, I started running and am happy with how quickly I’ve made gains. When I first started, I’d be huffing and puffing after only a quarter mile. Now, I can run 2 miles. I’m still huffing and puffing, but at least I don’t have to stop. I also picked up P90x DVDs which some random friends have raved about. In 2015, the markets finally calmed down.As of this writing (12/22/2015), the S&P 500 is down for the year (2,058 -> 2,039). 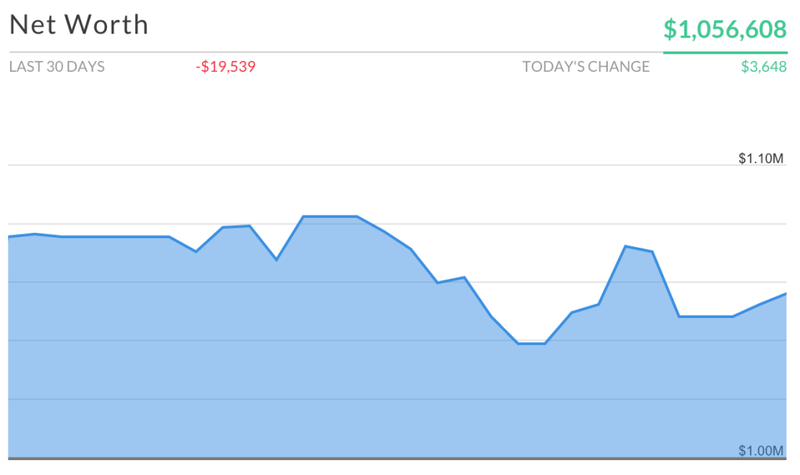 I am up ($987,351 – > $1,056,606), but not by much when I account for my 401(k) contributions. I put $54,750 into my solo-401(k). Without that contribution, I’d barely be above water for the year. I couldn’t be happier. The time to buy an asset isn’t when it’s flying high, but when it’s kicked down. At current levels, it will take most of my 2016 401(k) contributions to complete the rebalance. In 2015, I sold 100 shares of Apple and 250 shares of Facebook. One of the first moves I’ll make in 2016 is selling more shares of both. Over $400,000 of my portfolio is directly invested in technology stocks with $300,000 of that being in Facebook and Apple. My investing style is very aggressive, but even this is too much for me. We bid on two properties this year. The first was a single family home that we would have eventually flipped and the second was a duplex. We lost on both and that’s fine. I don’t like overpaying for anything. I won’t pay a premium just to get into a certain asset class. My strategy is to be flexible and deploy my money where I feel it can best serve me. If I never own a rental property, that’s fine. My money always flows to where I feel it has the best chance to grow. I’ve said it before and I’ll say it again, growth is everything to me. I could not care less about volatility or cash flow. Very simply, I care that my pile will be as big as possible 10 and 20 years from now. I encourage you to be flexible too. Challenge yourself to think outside of your investment comfort zone. You may be completely in love with your strategy, but if you’re not constantly evaluating it, you may be losing money. 2015 was the busiest year of my life (Mrs. 1500 note**: Boy howdy!). I tried to pack way too much in. The plans I made were far too ambitious for the amount of time that I had. We had no health problems. Besides a couple cavities, everyone is doing great. Mrs. 1500 started working at a job that she loves. Her job pays enough to cover all bills, so I am now free to quit at any time. More on this later. The children are doing well in school. Our older child is a voracious reader and I couldn’t be happier. The finances are in order. 2015 wasn’t a killer year like the past couple, but every year can’t be a winner. Everything is cyclical. I got to travel all over the place. I spent time in California, Iowa (and didn’t get fondled by a member of Iowa’s highway patrol this time), Nebraska, Georgia, North Carolina, Illinois and Wisconsin. 2016 will be a year where I work on transitioning to life after formal employment. February of 2017 is when my days hit 1500. I really have no clue whether I’ll make my goal of $1,120,000 in investments, but don’t care much either. I have backup plans for my backup plans (more on this later too). Regardless of what happens in the markets, I’m positioning myself for my next life and I have a high level of confidence that I’ll be successful. I hope your 2015 was as good as mine! *Yep, an affiliate link. 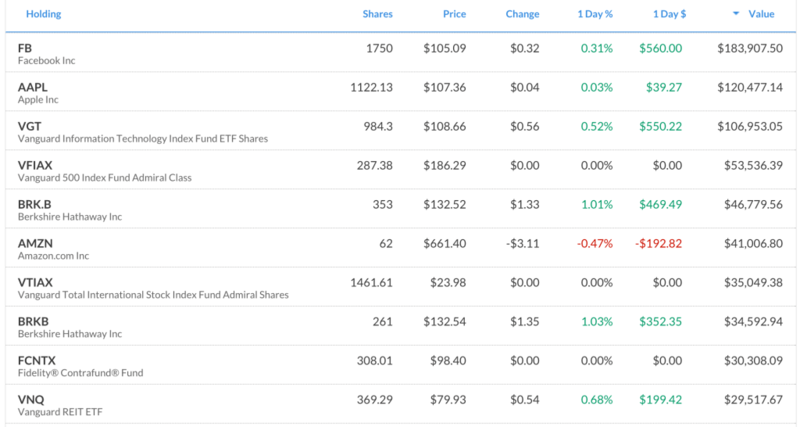 Personal Capital is my favorite online tool because it tells me a lot about my portfolio and costs nothing. Fat lot of good that does me! Yes, you guys have had an amazingly busy year by the sounds of it. Despite not making (all) your goals, we think you guys have done great (5 out of 5 stars for effort!). Not busy with kids, is that not an oxymoron? You could also start consulting like Justin from Root of Good? Consulting? Maybe! Sounds like fun! I say “Boy Howdy!” too!! Congrats on the awesome, yet busy year! All my net worth growth has been due to investment contributions as well, but I don’t time the market and know no matter when I’m investing, it’s always the right time! 🙂 I’ve also been divesting some individual stocks as well and plowing the money into my index funds. I realize I’m less addicted to monitoring the equities markets when I’m not invested in individual stocks. Happy Holidays! Happy holidays right back at ya’! Boy howdy, you’ve done it again with this post! What a busy year. Thanks for the 2015 summary. I love what you said about flexibility. If the real estate or any other strategy doesn’t work at first, keep adjusting and moving forward. Getting that house remodel off your plate seems like the hurdle that will make everything else easier. Unfinished projects that you say every day are the ones that strain at you:). I look forward to following your accomplishments and humor in 2016. No kidding! Please tell Mrs. 1500 to let me work on the house now and then! Best of luck to you and yours in 2016!!! Seriously, we have friends in Denver and would love to cheek out Longmont. So hope to make that happen. Best to you and yours in ’16, too! Awesome! We have plenty of room here too. We’d love to have you over. Make it HAPPEN! All in all it sounds like a pretty good year for you in the 1500 Days household! Just like us, it would have been nice to do a little better in the stock market. However, that didn’t stop us from maxing out both our employer’s plans and their match. We too are currently remodeling a smaller place that we will be moving into in less that two weeks. Couple that with multiple home inspection items we are fixing on our current home, it has been a challenge. Nice work! I think that is single most important money move for most. Never heard the expression “boy howdy” before. Looks like a great year in the Mr. and Mrs. 1500’s world. 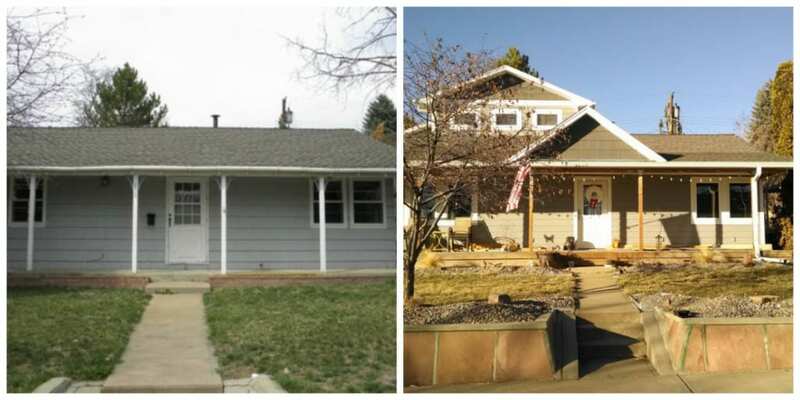 House transformation looks amazing, still in the double comma club, can leave your job if you want, damn skippy you had a good year. Merry Christmas to the family! Brian @DebtDiscipline recently posted…What Did You Get? Yeah, life is good and thanks for reinforcing that. I feel like such a jerk when I get down on myself. Sure, life is busy, but deep down, my life is so incredibly great. There is really nothing to complain about. Merry Christmas! Hope your 2016 is awesome and I hope to see you in San Diego! I’m curious as to why you would sell your Apple and Facebook shares, as they are already winning investments. If you want to diversify out of tech, why not sell your Vanguard Tech Fund instead? Looks like you are ‘deworsifying’ to me. If they underperformed the market for years, I could understand wanting to sell, but you have top quality assets their – bought at a fraction of the current market price. I guess I look at the problem a little differently – I want the best quality assets; those that will weather the storms. I look for the highest returns on equity and highest ROIC I can find. Buying into a fund, you’re going to average down on those metrics to something not as good. Mr. Tako recently posted…Web Hosting: It’s a Giant Scam! Yes, they are already winning, but past performance is not indicative of the future. Apple: I bought Apple in 2007 because I knew the iPhone was going to be a hit. It was years ahead of the competition and a massive leap forward. However, competition has caught up. Google took down Apple’s moat with Android. I also worry about saturation. A lot of smart folks think peak iPhone sales will take place in 2016 or already took place in 2015. Remember that Apple makes almost all of their money from this device. Perhaps someday, they’ll start to make serious money from services (or the Apple Car :)), but that day is a while off. Apple isn’t going anywhere, but I’m nowhere near as confident looking 10 years out as I once was. Facebook: I think Facebook is a great company and Zuck is a great leader, but having close to 20% of my portfolio in a social media stock doesn’t seem sane. With both Apple and Facebook, I’m only selling off a small percentage of my holdings. At this time, I’ll sell 100 shares of each, so it won’t make much of a dent. I think Google is really the one to hold long term. Google is doing some really incredible things. I love the chances they take (autonomous cars! contact lenses with microchips!!). The sheer amount of information they control is incredibly powerful. I’d love to hear what you think of all of this. With regards to Apple – let’s remember a lesson from Phillip Morris, the best performing American stock from the 1960’s to now. It created a ridiculous 6000% return for its investors that held on that long. A better compound annual growth rate than Buffett. In a declining industry. Mainly in a product that they were constantly sued for selling. They have half as many customers today as they did in the 1950’s. So why was the stock so successful? I think it was mainly pricing power, and effective use of capital (share buy backs at the right time, dividends, and careful capex purchases). Apple definitely has pricing power today, can they maintain it? Possibly. Effective use of capital? Pretty good so far. As far as Facebook and Google go. They are definitely in my “worth more in the future than today” buckets. Both have significant moats in their industries that cannot be defeated by current competition. They will definitely be around for quite awhile. Apple definitely has the brand loyalty! However, you don’t have to buy their products on a regular basis like cigarettes which is a good lead-in to a point I didn’t make in my last response; the iPhone is pretty great now and upgrades are less of a necessity. The first four of five iPhones were all big leaps forward. Now that they have a big screen, I can’t imagine what they’ll do to induce consumers to upgrade. 3D Touch? Meh. The other issue is that Apple products are all pretty great. My iPhone 3GS still works fine as does every other product I’ve ever purchased. I’m really curious to see what Facebook looks like in 5 or 10 years. The company is rapidly evolving. Mark Z. is no dummy! Hi Mr. 1500. I feel like we could talk about this for weeks! “Planned Obsolescence” I think would be key to Apple’s long term success. I think I observed it happening: Like you, I had a 3GS, but I got sick of it after iOS upgrades made it unbearably slow. Don’t want to upgrade? Eventually API changes make it so you can’t run the latest apps. I think it *is* happening. Like you, I believe big growth in the mobile industry is nearly done. That said, they’ll still sell many devices each year. I think we should also remember these smart phone things are not durable goods. They break, they get wet, cheap electronics get old and flake out. They are not serviceable devices. Heck, you can sit on it wrong and break it. I can’t think of any other $500-600 ‘good’ that is as frequently replaced and not repaired. For Apple, there may even be years of decline (that might be the time to buy Apple again), but the concept of a pocket sized computing device is not going anywhere. As far as Facebook in 5-10 years? – my guess is they (via Oculus) will be a dominant force in the gaming/entertainment industry. We could talk about this for weeks and I would enjoy it greatly! Please look me up when you make it to Colorado! Like you, I think Apple is a great company that will be around for years to come, but as of now, the growth story is a small one. With that said, I like it’s bravado: I think it’s half crazy and half awesome that they are coming out with a car. I love it that a company of that size is willing to take such a crazy chance. I’ve seen Oculus firsthand and it’s amazing. I didn’t even see any of the gaming aspect of it. I’m sure that there are plenty of use cases that you and I haven’t even thought of yet. It will be absolutely fascinating to see where VR is in a couple years from now. I’m about 80% through our bathroom remodel and just reread your series on it, which gave me a few laughs and “head nodding along” moments. Great stuff! Still can’t believe you attempted to do it in 5 days tho! I gave myself 2 weeks and still got no where near competing it. I was mainly on my own though and had the expected set backs and a few other distractions. I’m gonna put the sink in tomorrow and then the only thing left is the finishing work. I know what you mean about exercise going out of the window. I have some pretty lofty running goals to work on but at the end of 12 hours of bathroom graft more physical exertion is the last thing you want to be doing. Now I know why there are so many overweight plumbers out there!! Overall I’m so glad I gave it a crack though! It’s not as hard as you first think and the skills will stay with me for the rest of my life. Yeah! It scares me though. Am I could candidate for early retirement? Will I be bored? Will the things I accomplish as a retired, old fart make me content? The house remodelling is looking great. It does seem like you’ve had a crazy & busy year. Good call on looking after yourself healthy wise. I would be very interested to hear your experience with P90x. I think it’s a good idea to start selling some Facebook and Apple stocks. I’m with you that Apple isn’t as hot as it used to be a few years ago. People will eventually stop updating their iPhones every year, especially now iPhones are so expensive. Once Chinese market is filled with iPhone, I’m curious where the next major growth will come from. I’m pretty excited about it, but I must warn you; I fully intend to overshare. By that, I mean lots of pics. I will surely humiliate myself, but transparency, right? Yeah, Apple may stagnate for a while. Their car is a huge gamble. I’m dying to see what it will look like though. Will you be able to quit your day job? It is harder than you think to leave a steady paycheck. It took me at least a year before leaving because I had to figure out a way to negotiate a severance package. Definitely look into negotiating a severance package if you can. It will make the transition much much easier. Severance is out of the question, but I’m not really worried about it either. Our egg is big enough now and Mrs. 1500’s job makes ends meet. It’s all emotional now and making sure that I’ll be happy not working. Thanks for sharing a recap of your year. I can’t wait to see how 2016 unfolds. It’s such great inspiration to see folks get close to their goals or make the transition away from the normal grind – especially since we are so early on our journey. Happy holidays! I have high hopes for 2016. I can’t wait to see how it unfolds. Congrats on a great year for the 1500 Family and looking forward to hearing more in 2016! Ha, I love the circus one! We have a similar one here: “Not my rodeo.” Monkeys sound like more fun than rodeos though. Happy 2016 to you and yours!! Sounds like a great 2015 and the best is yet to come. Look forward to hearing more about the back up plans and transition. Happy Holidays. Yeah, plenty of backup plans! I with I wouldn’t worry so much. Oh well. Happy 2016 to you Jason!!! It was great following you this year and I look forward to next year! Congrats on diversifying and simplifying the portfolio. I always say there is the “get rich money” and “stay rich money”. You can now focus on staying rich as you near/at critical mass (look up Bob Brinker if not familiar with critical mass). I have big plans for 2016. I think that is the year it all comes together. Already, going part-time has been awesome. The house is really almost done. We have a lot of fun trips planned. Life is good. And yeah, I used to LOVE to listen to Bob Brinker on the old AM radio! Is that guy still on?!?? If you are going to sell 100 shares of you apple and facebook, at least look into selling a call option, might as well collect some extra premium on the sell. If you are selling on Monday, sell one “at the money” call, or one slightly out of the money, for the next experition date. You will make the same $$$ plus collet the option premium. BAM! Yeah, others have made that suggestion too. Are options easy to setup with an online brokerage like eTrade? Congratulations on all your success this year and your ongoing projects! Raising the bar for yourself is the only way to achieve more. I’m looking forward to reading about your transition to the next phase of your life. One of my favorite hick sayings (from growing up in Nashville) is when the sun is out and it’s raining at the same time. This is known as the time when “the devil is beating his wife.” Obvious, don’t you think? Your planned and expected retirement was February 2017. That is in about 12 months away. Now that you’re backing off the five days from work, are you going to pull the full trigger in February? Do you already consider yourself in the financially independent phase of your life?